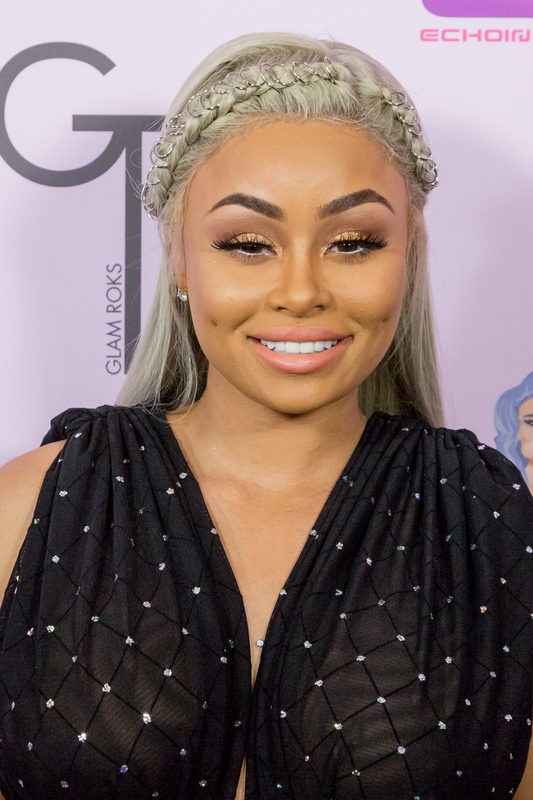 If you're feeling like the romance between Blac Chyna and Rob Kardashian is moving at lightning speed, it's probably because they're going through major life milestones the way normal people marathon a TV show on Netflix. At the beginning of 2016, these two weren't even a thing (at least, not publicly), and now they've already moved from dating to living together to engaged and expecting a baby ... all before the start of summer. These two seem to love chronicling every step in their relationship, so it only makes sense that Chyna has now shared the first-ever photo of baby Kardashian, complete with a sugary-sweet caption for her fiancé. Chyna took to Instagram to share an ultrasound photo of her bundle of joy, proving that her baby doesn't even need to be born yet to be a social media star in the making. Yep, in true Kardashian form, the baby is already racking up likes and comments ... and honestly, would we have it any other way? Chyna also took the opportunity to share some words to her soon-to-be hubby, making haters' hearts melt in one fell swoop. Seriously, check the photo out and tell me you're not swooning over these two. That caption, tho. It certainly seems like Chyna (along like the rest of the world) was not expecting to find love with Kardashian when she did, especially since she said she was "no longer looking for love," and thought her son, King Cairo, was going to be an only child. So as surprised as Kardashian fans were when the two started seeing each other — well, it kinda seems even Chyna herself was surprised. And saying that Kardashian loves her son and her "unconditionally," is pretty much the cherry on top of a sweet and unexpected love story. I know a lot of naysayers love to hate on Chyna and Kardashian (and the haters, they are aplenty), but come on. Kardashian, who seems to have been struggling for several years, has refused to appear in public or on his family's reality show, and such a turnaround is the kind of thing that's honestly hard to hate on. Everyone deserves to find their true happiness, and who could hate on baby Kardashian? With this ultrasound photo, Chyna has also managed to do something no Kardashian has done before on social media. I know that it seems hard to believe that there's something a Kardashian hasn't shared with the world, but Chyna's ultrasound marks a first — neither Kim nor Kourtney ever shared such a photo on social media. Both sisters did have their ultrasounds on display in Keeping Up with the Kardashians, but never on Instagram. So suffice to say, this photo is significant for many reasons. Props to you, girl. I'm sure this is simply the first of many Insta shots for baby Kardashian.